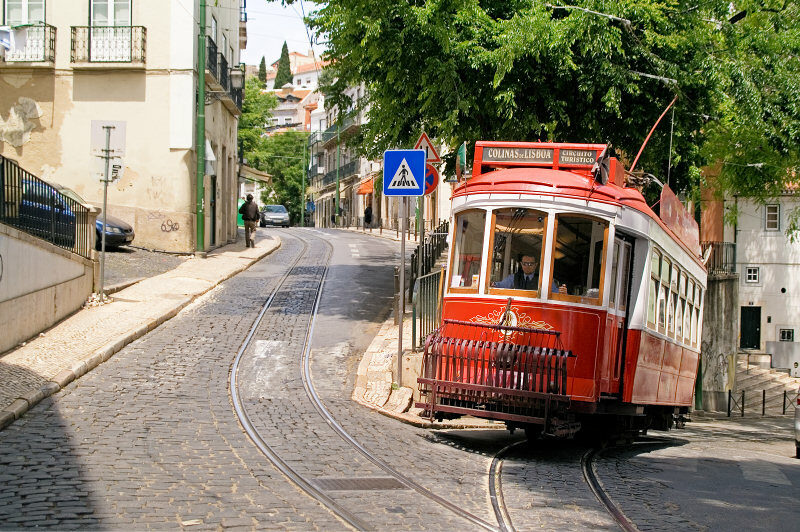 the tram on the photo is a historical tourist tramcar and not the public N� 28. 28 is yellow. Although the travelling on public transport is cheaper, you have to be careful about pickpocjets appearing in often crowded tram 28. On contrary, historical red tramcar tour leaving from Pra�a do Com�rcio allows you to know the most picturesque neighbourhoods of Lisbon in a friendly and comfortable way, while listening to the commentary available in several languages or melancholic melody of fado. You will pass the narrow and steep streets of this charming city, you will see people chatting at the door, dogs observing the city life from balconies. You will certainly fall in love with this city and sooner or later you will come back.